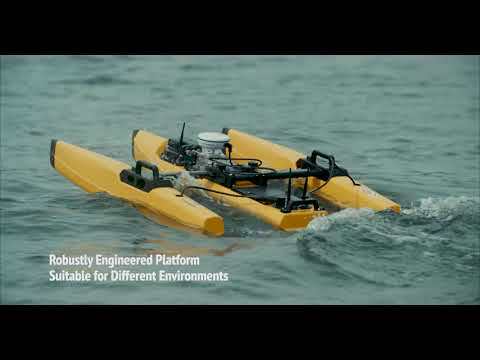 Teledyne Oceanscience Z-Boats® are the number one choice for reliable, remotely controlled, hydrographic surveying in streams, rivers, lakes, and coastal waters around the world. The Z-Boat 1250 is easy to operate, portable at under 50 pounds, robust and easy to maneuver. 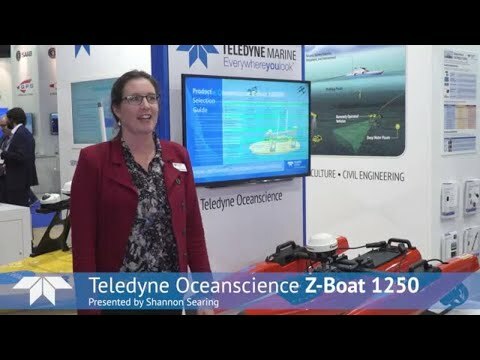 Teledyne Oceanscience Z-Boats® are the number one choice for reliable, remotely controlled, hydrographic surveying in streams, rivers, lakes, and coastal waters around the world. The Z-Boat 1250 is easy to operate, portable at under 50 pounds, robust and easy to maneuver. The use of lightweight, resilient ABS hulls and a collapsible sliding crossbar make the Z-Boat 1250 convenient for a single operator. ​Mining pits, Tailing ponds, Sewage treatment plants, Environmentally sensitive areas, Construction and Inspection zones, Dams and reservoirs, Lakes, harbors, rivers, andFlooded areas.